We’ve added a new way to buy a digital pdf version of Magic of Myths: season one, which supports most major bank cards as well as PayPal. Simply head over to http://gum.co/cLpq and you can be reading the graphic novel with just a few clicks. Posted by cbrotherson in Commentary, Introductions, preview. Magic of Myths: season one is now on release for you to buy! 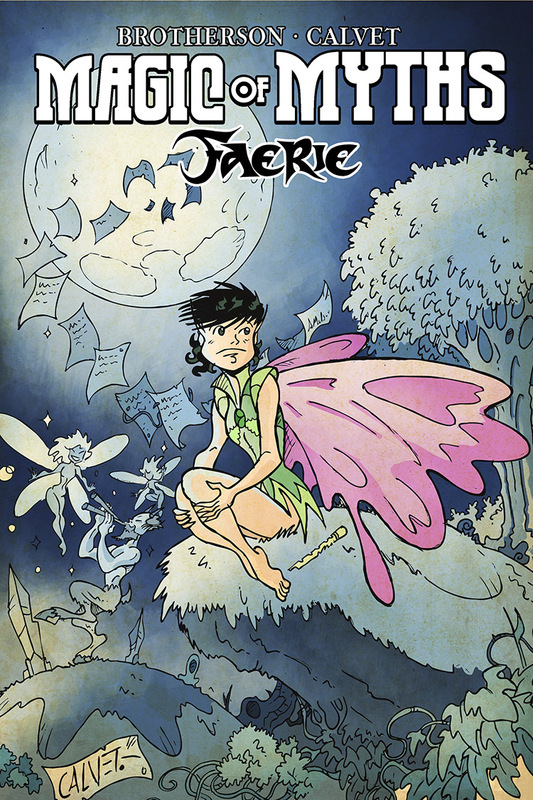 Weighing in at 62 pages, the £7.99 fantasy adventure story comes complete with sketchbook art designs, pin-ups and the full script and commentary to Issue 3. Not bad for the first season of a miniseries, we’d say. You can buy a copy direct from our stand today at the Bristol Comic and Small Press Expo. Corey (and his damaged ankle, so be kind) will be selling the book on Table 16 in Hall 3 (here’s a map for you: http://www.thefallenangel.co.uk/spexpo/BICSPE%20layout%202011.jpg). We’ll only be here today (Saturday), so be sure to come over and say hi if you can. Alternatively, you can buy a copy from our online vendor, Indy Planet. Simply go here (http://indyplanet.com/store/product_info.php?manufacturers_id=888&products_id=5310) and you’ll be able to purchase Magic of Myths: season one, which will be delivered to your door via post. Want a digital copy? We’ve a few things in the works, so expect info about digital versions coming very soon. This isn’t the end of Magic of Myths – there’s more news to come, so please do subscribe to this site and we’ll keep you abreast of all the exciting things coming. We hope you enjoy the journey that is Magic of Myths: season one – do let us know what you think and thanks as always for your support. 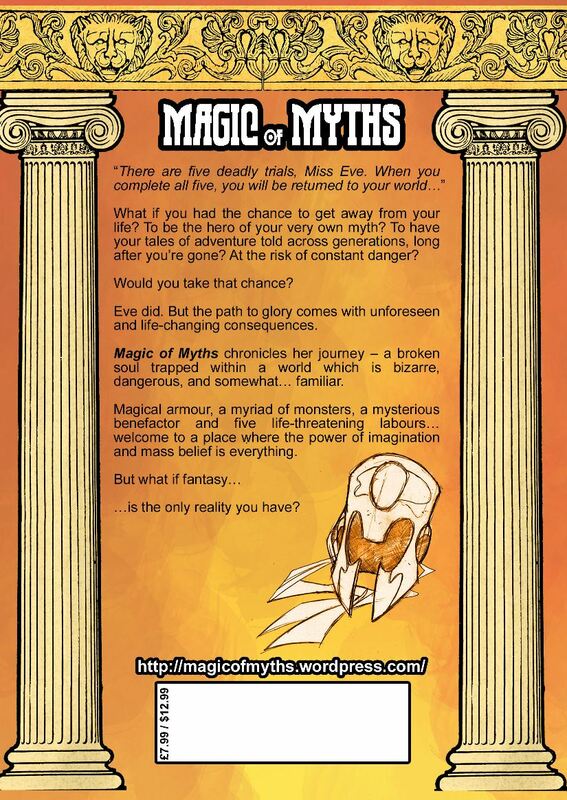 Yup, Magic of Myths: season one will be available to buy from May 14th 2011, for the paltry price of £7.99. We’re also currently in the process of creating a digital version as well for those who want to read the book on their i-devices, Android phones and other portable devices, so stay tuned for more on that soon, as well as what you get for your money. The eagle-eyed comic book fans among you may notice that May 14th is also the same day as the Bristol Comic and Small Press Expo. This is no coincidence – Magic of Myths: season one will be there for its first public unveiling on the show floor, with space on a table to sell the book. The very kind and talented Simon Gurr has offered to share his table for the launch of Magic of Myths: season one, so you can come over on the day and buy a copy from Table 16 in Hall 3 (here’s a map for you: http://www.thefallenangel.co.uk/spexpo/BICSPE%20layout%202011.jpg) as well as check out and buy some fabulous artwork from another amazing artist, Jennie Gyllblad, who will also be sharing the table. We’ll only be there on the Saturday, so be sure to come over and say hi if you can. 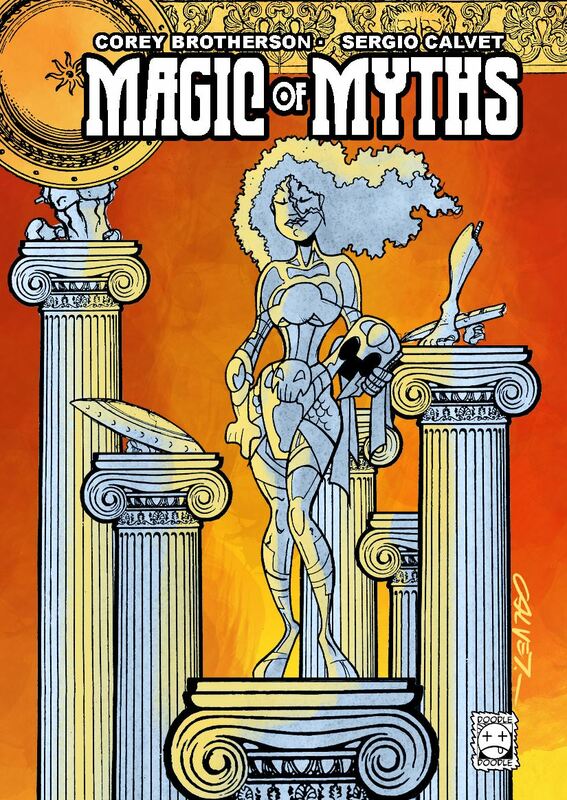 If you can’t make it to the Bristol Comic and Small Press Expo, don’t worry – you’ll be able to buy Magic of Myths: season one from the incredible comic book shop Nostalgia and Comics, online vendors, and a few other places as well, around the time. We’ll have more information and links closer to the launch date. In the meantime, spread the news and keep May 14th 2011 locked in your diary! There will be even more info on the launch of Magic of Myths: season one very soon, so please subscribe to this site using the subscription tab on the right to make sure you don’t miss out.